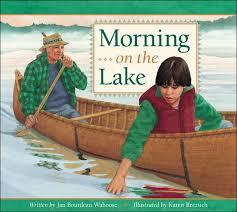 David Bouchard, a Canadian Metis born and raised in Saskatchewan, is a writer of over 50 books. 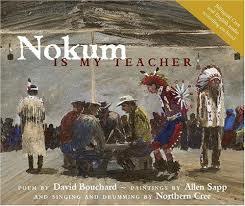 This particular picture book includes both English and Cree languages and is a dialogue between a boy and his grandmother, or Nokum. Due to its powerful message regarding the intersection of indigenous peoples and western education, this story is a must read for all western educators. 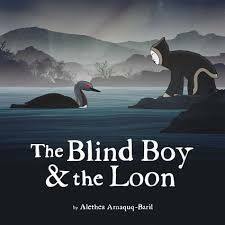 While previewing The Blind Boy and the Loon by Althea Arnaquq-Baril, I was introduced to Inhabit Media as mentioned in the commentary within the book. Inhabit Media is a publishing company purposed in promoting and preserving Inuit voice, story and art through book publications for both children and adults. An extensive book reference page of their published children’s books is a valuable resource for the elementary educator. Althea Arnaquq-Baril, recognizing the need to preserve the language of her people, built her company, Unnikkaat Studios Inc., to produce Inuktitut documentaries and language productions. As the Inuit are traditionally an oral culture, using a means of oral documentation of stories and history through film making can be an effective and productive way of both preserving the voices of the Inuit and allowing their voices to be shared with others. A beautiful depiction of place as told through the words of Jan Boudreau Waboose, a Nishwabe Ojibway from northern Ontario. 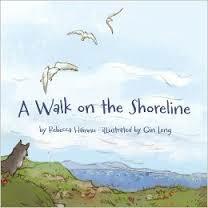 Place-based references to landscape, animals, sky and environment are seamlessly interwoven throughout the text. 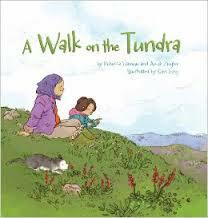 Rebecca Hainnu is an elementary school teacher in Nunavut, a curriculum writer, and a picture book author. Particularly, A Walk on the Shoreline and A Walk on the Tundra encompass place-based knowledge. Her newest book extends plant knowledge and is entitled, Walking with Aalasi: An Introduction to Edible and Medicinal Arctic Plants.